Surge forward with a super sleek arm band. The Surge Arm Band is the perfect way to unleash your inner athlete while keeping your playlist close at hand. 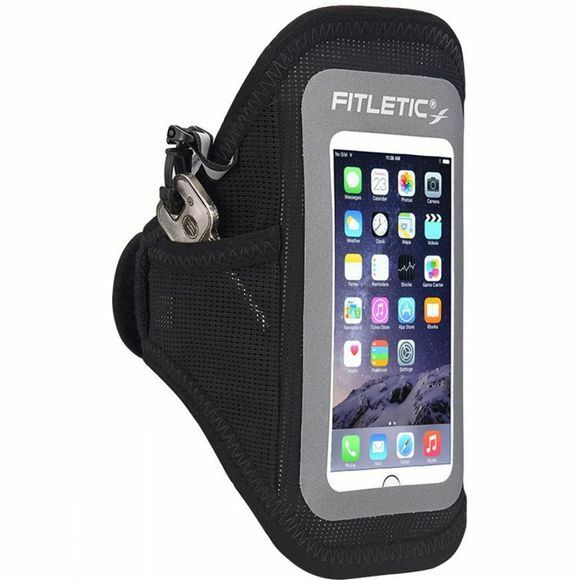 Great for running, rollerblading, gym workouts, or any other activity. A case with a True Touch window holds your smartphone, allowing you to operate your phone without having to take it out. This high quality case is audio-friendly too; just listen to your playlist through your phone’s speaker. Or use the dual earbud ports and leave the noisy world behind.